Based out of Velusso’s own Mallorcan Villa, this trip is perfect for groups of friends, families or couples, looking for a trip where the emphasis is as much on winding down as it is enjoying the stunning scenery Mallorcan roads have to offer. Memories that will last forever. 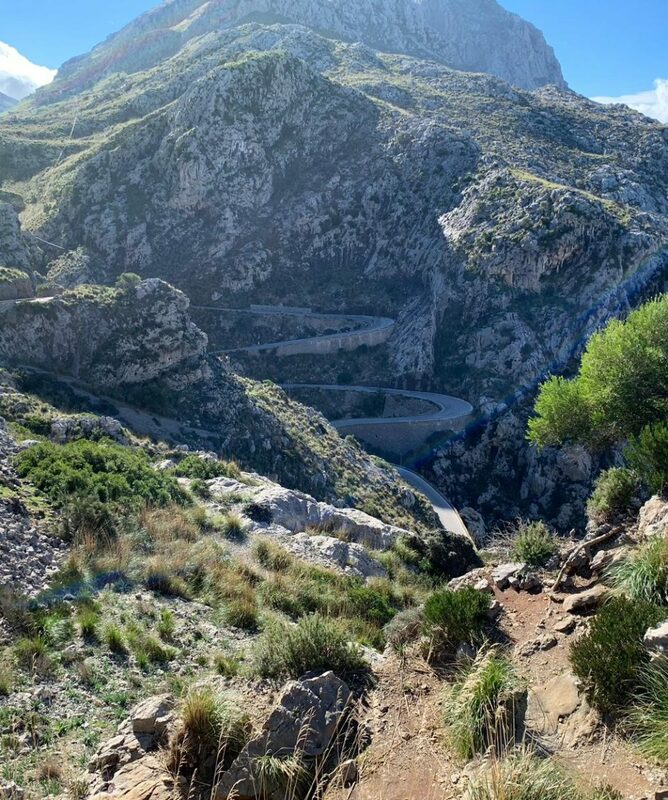 Based out of Velusso’s own Mallorcan Villa, this trip is perfect for groups of friends, families or couples, looking for a trip where the emphasis is as much on winding down as it is enjoying the stunning scenery Mallorcan roads have to offer. The experience is tailored to your group’s preferences and with the care of your Villa Host and Ride Leader, 4-5 days of riding and afternoons relaxing by the pool, this will be a trip to remember. If you’d like to enquire about other dates than those listed on this holiday then get in touch to create your own bespoke trip. What type of cyclist will enjoy the Velusso experience?Do you cater for specific dietary requirements? The Velusso cycling holiday experience is for enthusiastic cyclists who enjoy having fun both on and off the bike. Riding with experienced Ride Leaders is the ideal way to explore new destinations, while our Villa Host will ensure your après-ride experience is relaxing and fun. We cater for all dietary requirements and ask guests to let us know their preferences before arrival. The Velusso Villa Host prepares three meals a day, and will be sure to accommodate any specific dietary requests.